We make custom cabinets for your bathroom with your needs in mind. Custom made kitchen cabinets made locally here in Fresno. Custom made kitchen cabinets can be made in your choice of particle board or plywood for prices that you’ll enjoy, with hand crafted wood doors in all wood species and wood finishes. We offer the latest in hardware and hundreds of styles and fixtures to choose from. Most importantly, we are local, working in Fresno since 2002. Our line of pre-fabricated cabinets will save you time and money. Take a look at our lines of pre-fabricated cabinets by clicking here. Take a look at some of the work we have completed over the years by clicking here, then call us (559) 917-5336 to schedule a free in home design and estimate. To make your cabinet shopping experience more enjoyable, we have trained and experienced remodeling designers on staff ready to answer all of your questions. We've been doing this for years, and we know what works. Our designers will work with you from start to finish in helping you make your selections in custom cabinets for your kitchen, bathroom or office. You can be sure that we will do everything we can (and within your budget) to create the perfect new design for your home project. 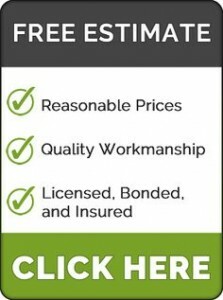 Fill out our free in-home estimate request form or call us to get started today! I will recommend you guys to anyone looking to buy cabinets, I didn't even think that these cabinets were going to be this high in quality. ..High end cabinets at affordable prices, you got that right... Will and Marcy Hampton, Fresno, Ca. "Excellent Job, this is great"
...Boy, when you said three weeks, you weren't kidding. I don't know how you got these cabinets down to Arizona so quick, I don't know. But there are wonderful. Thank you so much... Darlene. Quiroz, Fresno, CA.